Today I'm thinking of a delicious Italian feast consisting of multiple dishes that ends with a small glass of Grappa. This beverage is another product of those beautiful grapes that make that delightful wine and brandy. Grappa is made in Italy and its name is protected, just like prosecco and champagne. In order to be Grappa it has to meet very strict criteria that involves the way it was distilled, fermented and its origin, mainly San Marino, the Italian part of Switzerland or Italy itself. It is usually served as an after-dinner-drink but has been a great ingredient in the preparation of desserts and sauces. 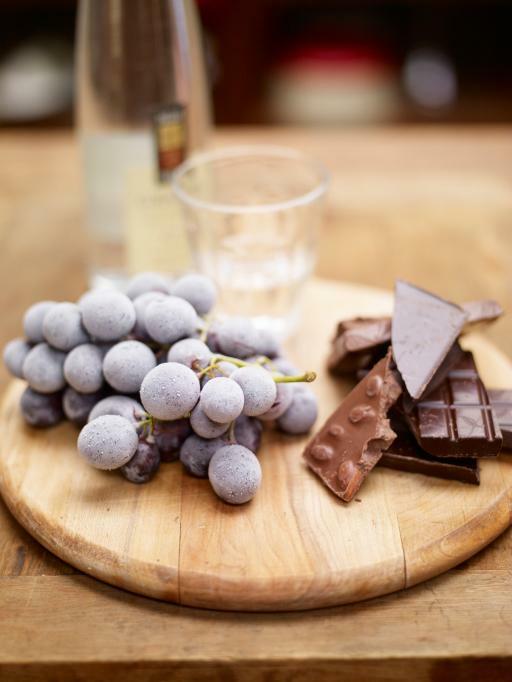 There are several foods that can accompany Grappa very well like pistachios, certain cheeses, fruits and even chocolate. Or it can be serve with coffee as part of it or as a side. On your next Italian outing, try out some of this beverage and it will be the best way to end a perfect meal!